Watching your purchased DVD movies on Android devices can be a hassle, but it's not impossible. This article will give you the best DVD Ripper that can help you rip and convert the DVD videos to Android-compatible video formats. Android phones and tablets , such as Samsung Galaxy TabPro, Galaxy NotePor, BlackBerry, Galaxy Nexus, Galaxy S5, etc. are the market hot spots. They are all perfect for watching videos on the go. However, Android accepts various video formats H.264, MPEG4, WMV, AVI, MOV, 3GP, etc. It don't have the DVD drive for playing your purchased DVD movies. Besides, it is not necessary for us to load DVD to Android device or phone. So a DVD to Android ripper is badly needed. You can search the related key words on line, and many results would be available. Here, Pavtube DVDAid is recommended to accomplish your task in a few mouse clicks! With it, you can fast convert DVD movies to Android supported MP4 video files with excellent output video quality. 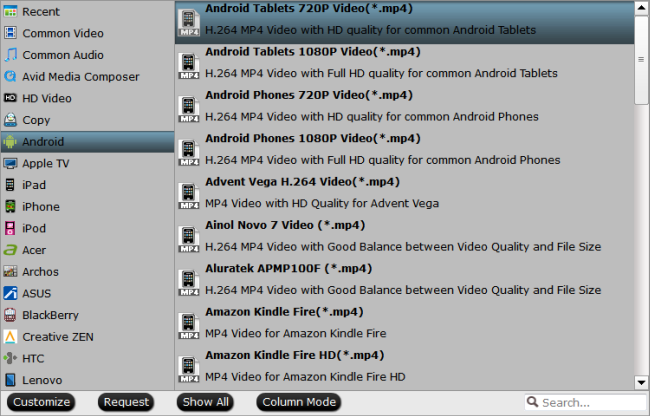 Besides, video presets for lots of Android devices like Samsung Galaxy Tab, Galaxy Note, Xperia Series, BlackBerry, etc. are all provided for you to get videos with best settings for playback on a certain Android device. If you are using a Mac and want to convert DVD movies to Android on Mac, please turn to DVDAid for Mac.Great News!!! Pavtube Software officially released its 2014 Christmas Deal. UP to 50% off is provided lasting to January 31th 2015. Don't miss it! And find more 2014 Christmas Crazy Promotion at Pavtube Facebook. 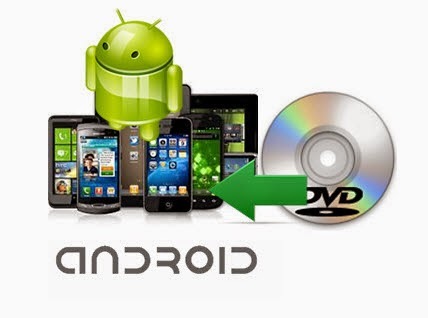 Click the disc button to browse and import DVD disc from ROM, or load the ISO/IFO files that you want to convert for viewing on Android-based devices. You can click the dropdown menu between “Format” and “Settings”, you will see many presets sorted of different device models and programs. If you think the video size this not suitable for your Android Tablet or Phone, you can first choose any one of the provided type, then change the settings. Generally speaking, the higher video bit rate will result in the larger output file size, and vice versa. Now hit the big red “Convert” to start converting purchased DVD movies to MP4 with best settings for playback on different Android -based devices. 1. Android tablets only recognize SD cards formatted in FAT 32, this limits a single file size less than 4GB. If you worry about getting a big video file larger than 4GB, you can use split feature in Pavtube software to split a large 1080p/720p file into multiple chunks under 4GB. Learn to split a large video file into several small files under 4GB for Android device. 2. Not a Android users? It doesn't matter, the Pavtube Converter also supports "common" video formats like MOV, M4V, MP4 and has presets for all the models of iPad, iPhone, iPod Touch and Apple TV, or Surface RT, Surface Pro, Surface 2, Surface Pro 2, so you should be able to create files compatible with your iOS basd devices and Windows RT/Pro devices. 3. I used another Pavtube program called ByteCopy to backup my DVDs without quality loss. 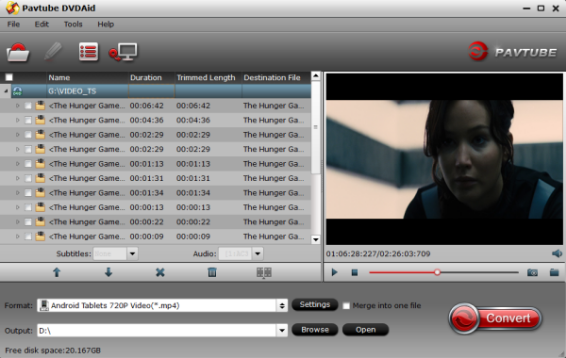 Meanwhile, several audio tracks and subtitles are preserved so I can switch language when watching movies.